MLADA BOLESLAV, Czech Republic -- Skoda will launch a low-cost, China-only small SUV as part of its plan to double sales in its largest-single market by 2020. The SUV will debut at the Beijing auto show at the end of April. The new model has been developed with Skoda’s Chinese joint venture partner, SAIC. The SUV will target more cost-conscious customers outside of China's megacities, which are sometimes described as Tier 1 or Tier 2 cities. "It's a crossover that's especially built for demands of customers in the so-called Tier 3 to Tier 5 cities," Skoda CEO Bernhard Maier said at the company's 2017 results press conference here on Wednesday. The car, code-named Model Q, will be built on Skoda parent Volkswagen Group's cheaper PQ platform that also underpins the China-built Skoda Rapid compact car rather than the MQB platform, which will underpin the production version of the Vision X small SUV. The Vision X was unveiled as a concept at the Geneva auto show earlier this month and will go on sale in Europe next year. No China sales are planned for that model because the PQ-based SUV will be the brand's small SUV for that market. The Model Q will be priced so it can compete with rivals built by China's domestic brands, said Alain Favey, head of sales and marketing for Skoda. "We wouldn't be able to reach that with the MQB platform," Favey added. Skoda's vehicle sales in China rose 2.5 percent to 325,009 last year, according to company data, putting the country ahead of the automaker's No. 2 market Germany at 173,300 and No. 3, the Czech Republic, at 95,000. The brand aims to increase Chinese sales to 600,000 by 2020 with the help of new SUVs. Skoda's global deliveries in 2017 increased by 6.6 percent to 1.2 million vehicles. A full SUV range is crucial to properly compete against not just traditional automakers but also newer Chinese firms, Favey said. "We need to have this wide offering in order to be as big a player as we plan to be in 2020," he said. Skoda launched the Kodiaq midsize SUV in China last year and this month started selling the Karoq compact SUV. The Kodiaq GT will be launched later this year to give Chinese buyers a sportier alternative to the seven-seat Kodiaq. The GT is expected to be sold as a five-seater only. 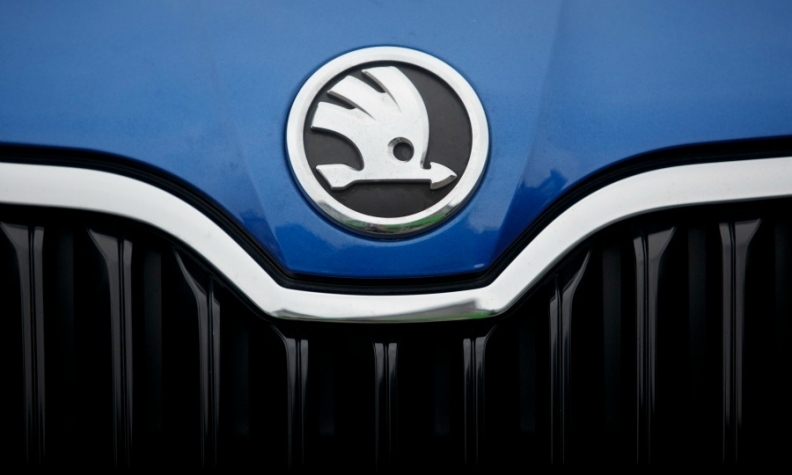 Skoda CEO Maier said the Kodiak GT wouldn't be coming to Europe. "I would love to do so, but we do not have any production capacity," he said. Another new SUV arrives in 2019 and again will be developed in China for Chinese sales. No other details were available.